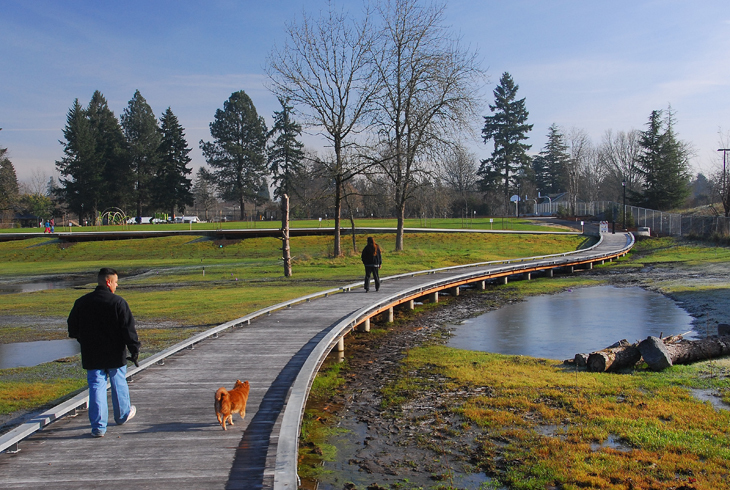 This 10-acre park, redeveloped with funds from the 2008 bond measure, is located in central Beaverton. A park for everybody, this site features a community garden, a memorial garden, two half-court basketball hoops, a grassy field for play and sport, and a playground with structures for both young and older children, including a large swing set. 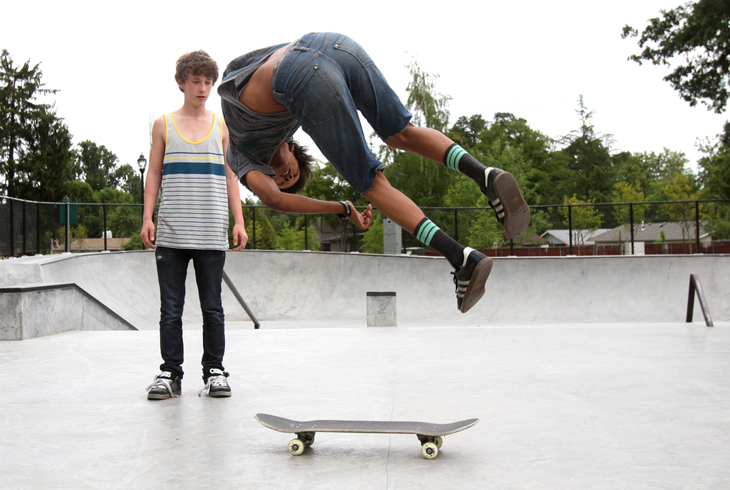 It also includes one of two skate parks within THPRD boundaries, as well as two covered picnic shelters available for rental. 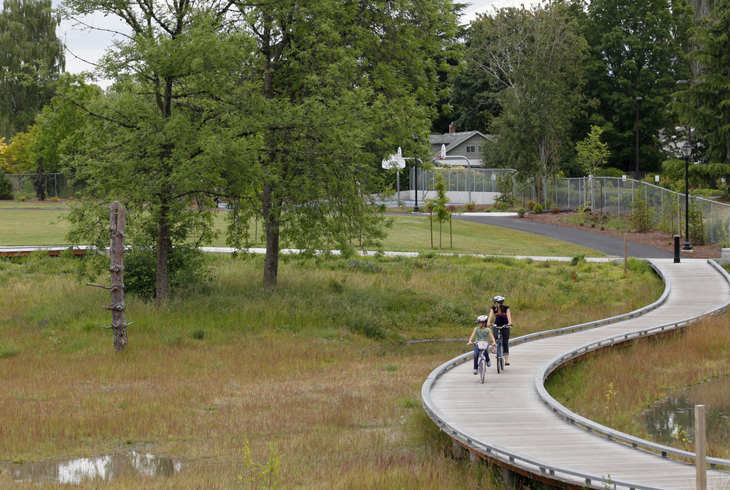 In the very center of the park, a 2.4-acre wetland attracts native wildlife. It can be appreciated from two long stretches of boardwalk; three triangular platforms allow gazers to step aside and observe activity in the wetland. 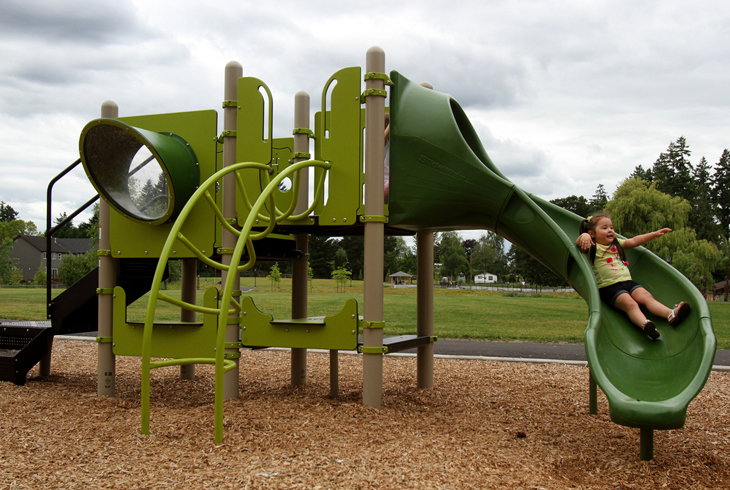 The park is located just off of SW Allen Blvd., with access from SW Bonnie Brae St., SW Erickson Ave., or SW Berthold Ave.